St. Paul, MN–Business ownership can be both a joy and a challenge. It can be hugely rewarding to own a successful business, knowing that your efforts are paying benefits. It can also be difficult to own an independent business because everything you do, you do yourself. Is there a way to turn this situation into one with more joy and less stress? One way is a conversion. You can take your existing business and become a franchisee of a company in the same or a similar industry. If you can find the right business, and they are open to conversions, this may be a way to take your business to the next level. There are a number of other ways a NOVUS franchisee will benefit by being part of a larger organization. Just a Sam’s Club and Costco offer better pricing through bulk purchases, NOVUS has negotiated for better pricing on glass. They can also help you offer your customers a larger selection. 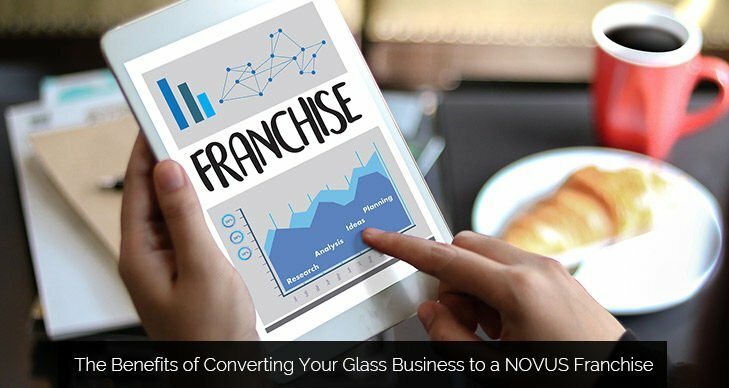 Other benefits to a NOVUS franchisee include automatic listing on the Glass Insurance Networks, rebates, ongoing support to build your business, a NOVUS website, glass replacement training for you and your technicians, and additional products and services that can increase your revenue (such as wiper blades, NOVUS Plastic Polish, Glass Cleaner, and head lamp surface restoration). Call (800) 944-6811, or click HERE to request more information.